Your donation will be used in general support of our critical conservation work to save the Atlantic Rainforest biodiversity. Please, send us an Email confirming your donation. The RÃ-BUGIO Institute for the Conservation of Biodiversity (Instituto Rã-bugio para Conservação da Biodiversidade) is a non-profit and non-governmental organization (NGO) from Southern Brazil created in 2003. Our mission is to save the remaining areas of the Atlantic Rainforest with its unique and rich biodiversity. Our environmental education project aims to stimulate the interest of Brazilian society in nature conservation. It has already attracted to the interpretive trail activities 58,481 students and 3,194 teachers. Activities are held at the Interpretive Center of the Atlantic Rainforest, a nature center built with donation. 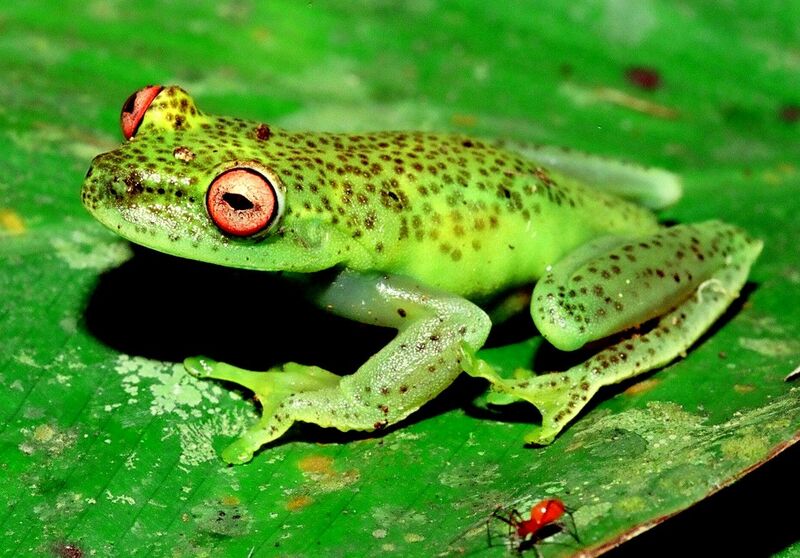 Rainforest frogs are the flagship species of this project. With the help of donors we have also purchased threatened areas of Rainforest which is transformed into Private Natural Heritage Reserve (854 hectares of forest saved so far). Many endangered species are protected in this area we saved from deforestation.